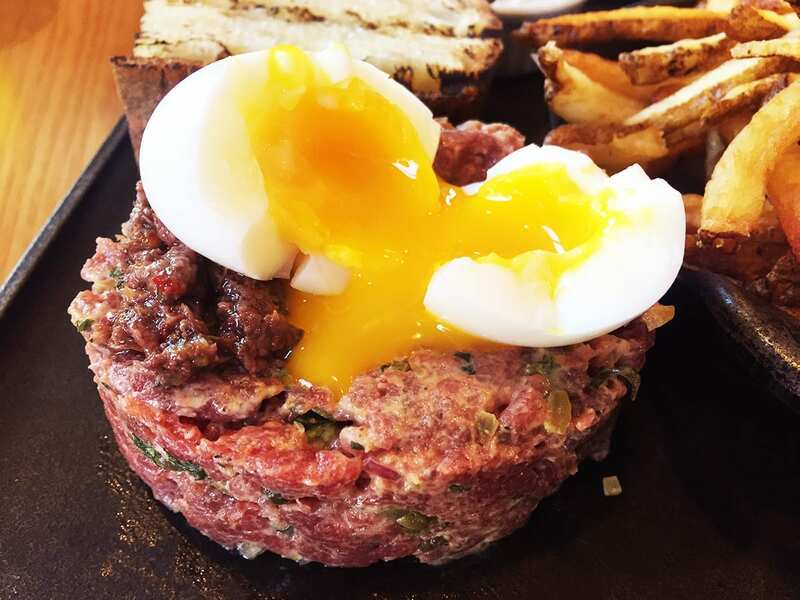 Sure love big raw meat in our mouth, especially when its Steak Tartare & Fries for brunch from butcher masters at Urban Butcher, a premier meat restaurant on Georgia Ave in Down Town Silver Spring. We going raw for our brunch from one of our favorite places in the area. We wanted to try something new and unique that we don’t order very often and this fit right into that category. 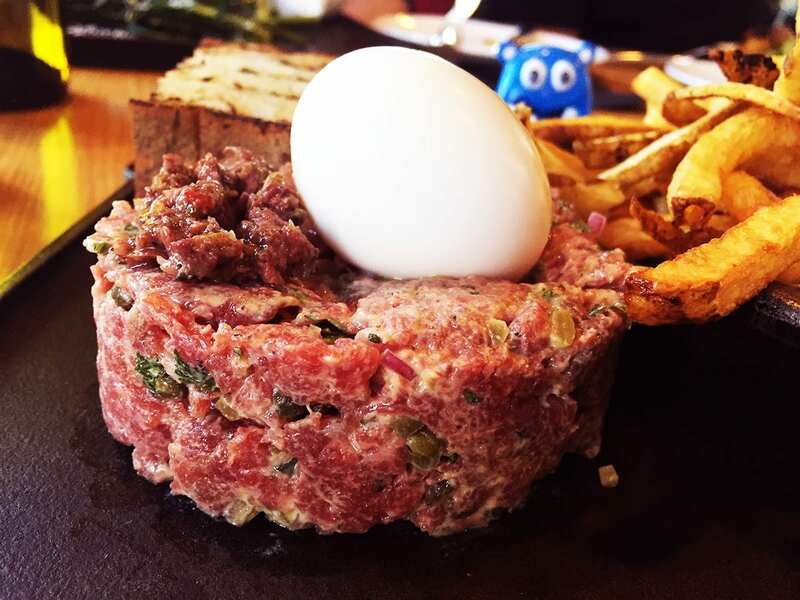 A dish so mouthwatering and amazing, that it might just ruin you for any other tartare out there. Very light and soft texture that goes well with bold flavors that might just explode your taste buds. Every bite was pure joy. I’m pretty sure a few times we moan from the enjoyment. 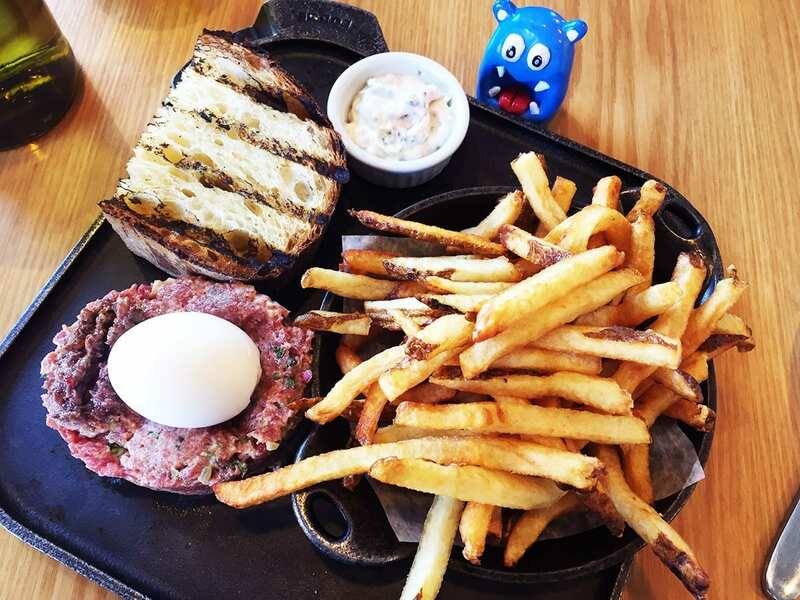 Served with a large and crunchy grilled baguette and a tapenade dipping sauce for that extra flavor. Top it all off it comes with a soft boiled egg with a runny yolk. After all, runny egg always makes everything better. 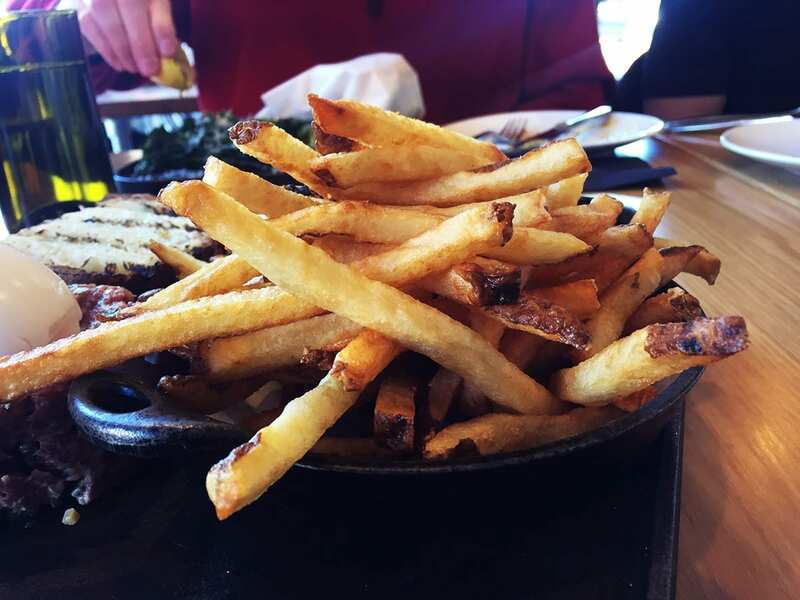 We are also big fans of the thin and crunchy fries. Eating a little bit of everything together creates an explosion of flavors. 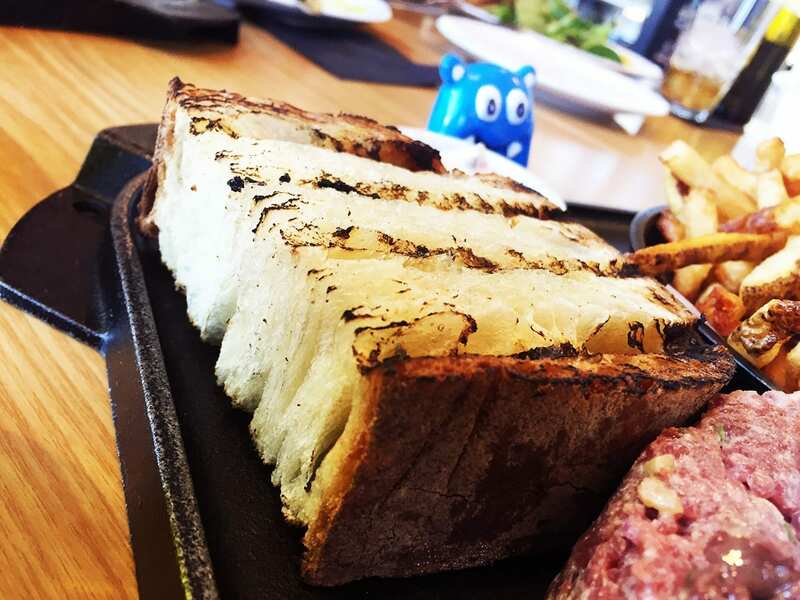 We did ran out of that amazing bread very fast so next time will have to ask for more. It may cost pretty high for $24, but its worth every penny and will leave you one very happy nomster. 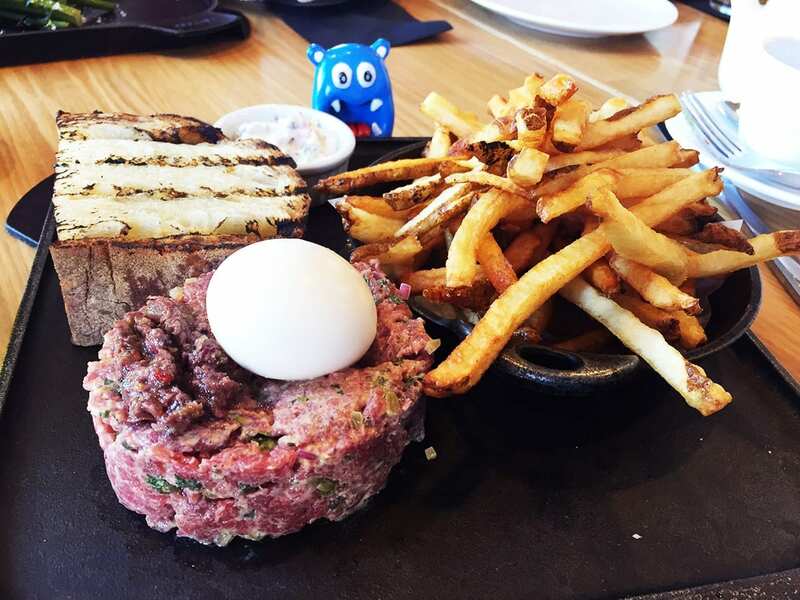 This may not be a French place, but it schooled them all on how to make a great tartare. Don’t be surprised if you find this dish on our best of the year list.